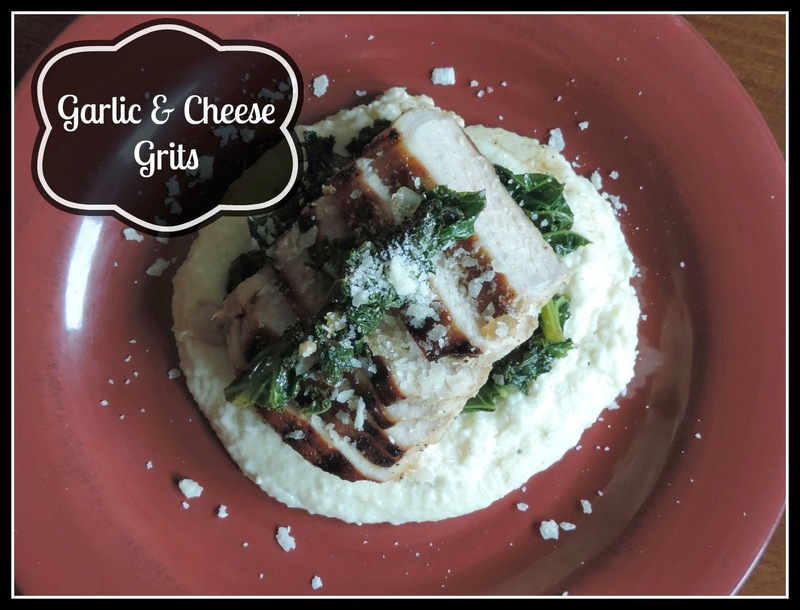 Any respectable country girl loves her grits, and here in West Virginia, they are a staple. I will confess that if they are not made right, they can be pretty bland and chewy. On the flip side of that however, when they are done right...there is no going back! I am all about doing them right! I will warn you up front that this is not a dish for you calorie counters out there, but if you would like to slim things down a little, you can use skim milk instead of the half and half. Either way, you are going to love these! Preheat the sauce pot over medium high heat and add your olive oil. Add onions and cook until they are translucent and soft. Once onions are translucent and soft, add the garlic. Cook until you smell it. Now you will add your chicken broth. nor do I always have fresh on hand. More often than not,I use powdered bouillon. 1 tsp. of powdered bouillon per cup of water. Add the 2 c. of half and half and bring to a simmer. you will SLOWLY add your grits. You MUST do this while whisking. you will continue whisking for approximately 10 minutes. After 10 minutes, your grits should be thick and creamy. Now you will remove from the heat, and stir in your parmesan cheese until smooth. If the grits are too thick for your liking, just add a little more half and half. And there you have it, rich, creamy, cheesy, and garlicky! You will want to taste for salt and pepper. Now you can plate this up with your favorite sides, or enjoy it right out of a bowl with a little toast! The choice is yours! One thing is for certain, EVERYONE in your home will LOVE THESE!!!! I can't wait for you to make them and I would to see your pictures and hear your feedback on my FB page! Preheat sauce pan over medium high heat and add olive oil. Add onion and cook until soft and translucent. Add garlic and cook until you smell it. Add half and half and chicken stock. While whisking, SLOWLY pour the grits in. Bring to a simmer and let cook for 10 minutes while whisking occasionally. After 10 minutes, remove from heat and add cheese. Add additional half and half if you need to the thin out.